Clearly a core responsibility of a Maintenance Manager, but budgeting can be a minefield as there are so many different ways it can and is done in different organisations. But whatever your method, it has a clear impact – either positively or negatively on the business. Normally blocks of budget are assigned for the purpose of maintenance, then it’s left to you to allocate that budget by time, machine, production line etc. Controlling these budgets can be really difficult and of course when the money has run out it’s run out! – If a machine then goes down it can be catastrophic. 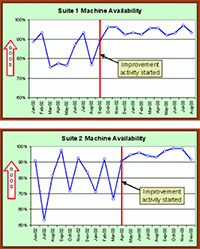 If you can move to a position of maintenance planning – especially on critical machines – whereby you plan scheduled maintenance before failure on those assets on which you rely most, costs are more visible and constant rather than a nasty surprise. Of course it takes time to build that full picture for preventative maintenance schedules, but you can start now. Looking at your plant down to asset level will take time, but the picture will start to develop aiding your future budgeting plans. Monitoring of your assets and recording maintenance costs will help provide a pattern to help budget in years to come. Building on year 1, refining in year 2. You should also design a hierarchy and criticality ranking for your assets. This will help focus on the items most important to your business and therefore those to focus budget planning or scheduled maintenance on. You should also pull information together on planned maintenances, overhauls, shutdowns & peak production times. With this information plus historical breakdown and maintenance cost information by asset you’ll be able to build a monthly by asset maintenance budget. We understand this task can be very daunting especially in year 1 but the focus and savings will be worthwhile and with further refining in year 2 by year 3 you’ll have budget planning for your site in the bag. 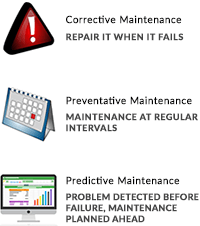 Scheduled or predictive maintenance provide huge cost savings. Maintenance costs escalate when its unscheduled rather than planned. And in emergencies – maybe following a catastrophic failure – the difference can be more than 10 times over. This is done by collecting and analysing data. This in turn allows you to identify bad factors which, when ranked against the importance list we discussed above and root cause analysis, can be used to tackle the recurring issues. Evaluating spending against the maintenance budget provides significant insight into where improvement opportunities exist. Special attention should be paid to assets with large variances, both over and under budget. A large negative variance can indicate that an asset has exceeded its useful life. Conversely, a large positive variance can indicate that an asset is performing above expectations and represents an opportunity to reduce spending. Once bad factors are identified, efforts should be made to eliminate or reduce their impact. One of the most effective tools to do this is a Root Cause Analysis (RCA). By focusing on and eliminating recurring reliability and maintenance issues, the costs of performing maintenance will naturally be reduced. It is important to keep in mind that reliability and equipment performance problems are rarely solved by changing maintenance activities. The way equipment is designed, purchased, installed, and operated generally plays an equal role in determining how it performs. Controlling maintenance costs and spending is a function of improving the performance of the maintenance delivery system overall. Simply cutting maintenance spending will not control or reduce costs. Build a long-range plan to optimize your budget Maintenance Managers face the continuous need to reduce maintenance spending. Maintenance budgets will always be under pressure to be reduced. Putting more and more pressure on maintenance managers to reduce costs and defer spending to a point where performance spirals downwards and spending on reactive maintenance increases! 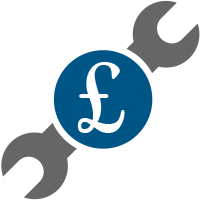 The key to success for the Maintenance Manager relies on his or her ability to reduce costs whilst maintaining (or even improving) the performance of the equipment! It is impossible to meet this challenge without a long-term, focused plan to improve maintenance performance using predictive maintenance. Ultimately, the Maintenance Manager must choose which direction the organization will take. 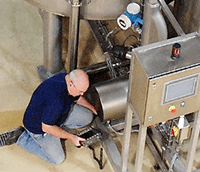 Successful performance of a Maintenance Manager is frequently judged in two ways – how well the equipment performs and how well the Maintenance Department performs against budget. CPM can offer full support in all areas of maintenance. Each solution is tailor made for our customer. From emergency repairs to scheduled maintenance plans and our area of expertise is root cause analysis. Helping you to identify underlying problems and rectifying them before they cause a breakdown. Contact us to discuss your site.